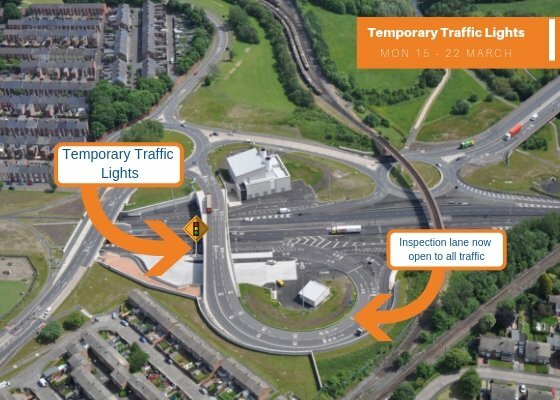 Posts on our bed and breakfast accommodation blog about Jarrow, Fellgate and South Tyne Tunnel in South Tyneside, NE32. 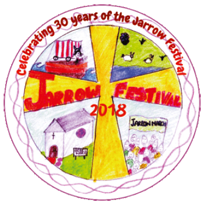 If you are staying with us over half term and are looking for something family-friendly to do then you may be interested in Jarrow Festival which takes place from Friday 25th May until Sunday 3rd June 2018. Activities are to be held at venues across Jarrow including the Viking Centre, Perth Green Community Association and Jarrow Hub. – Family Fun Night on Friday 25th May from 7pm until 10pm at Hedworthfield Community Association. – Jarrow Festival Community and Charity Fayre on Sunday 27th May from 10am until 4pm at Drewetts Park. – Jarrow Festival Dragon Parade on Sunday 27th May at 10:30am leaving from Jarrow Town Hall. – Bilton’s Family Festival Day on Saturday 2nd June from 11am until 5pm at Bilton Hall Community Trust. – Festival Finale Family Fun Day on Sunday 3rd June from 11am until 3pm at Hedworthfield Community Association. If you are looking for bed and breakfast accommodation near Jarrow, NE32 our guest house price and availability is here: book online. 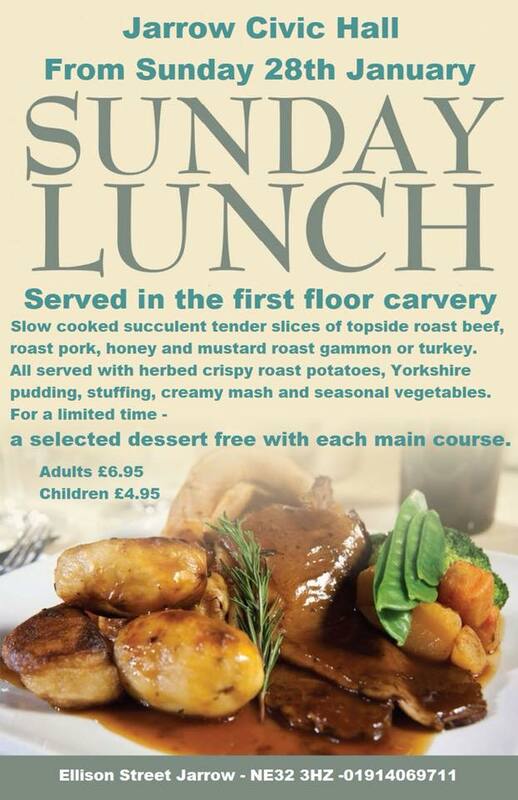 Jarrow Civic Hall & Event Suite at 59-61 Ellison Street, Jarrow, NE32 3HZ will begin serving traditional Sunday lunches from 12 noon this Sunday 28th January 2018. If you are looking for bed and breakfast accommodation for your visit to Jarrow our bed and breakfast room availability and prices are here: online booking. 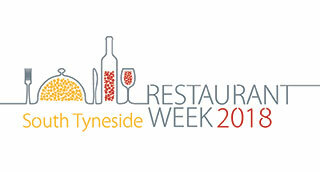 Click here for more Places To Eat And Drink. Jarrow Craft Markets are back this Autumn and Winter from Sunday 29th October 2017. 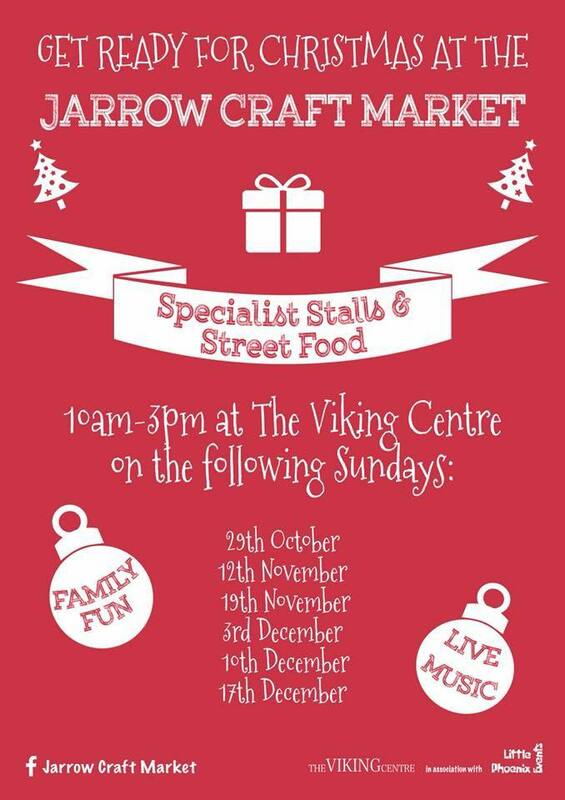 Jarrow Craft Markets take place from 10am until 3pm on Sundays at Jarrow‘s Viking Shopping Centre. 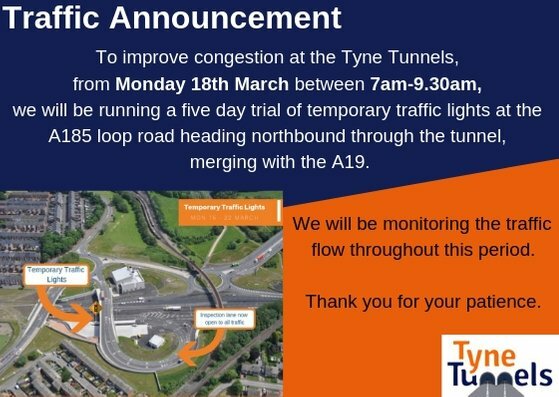 If you are staying at our bed and breakfast accommodation you can reach Jarrow by car in ten minutes or it’s five stops (ten minutes journey time) via Tyne & Wear Metro.